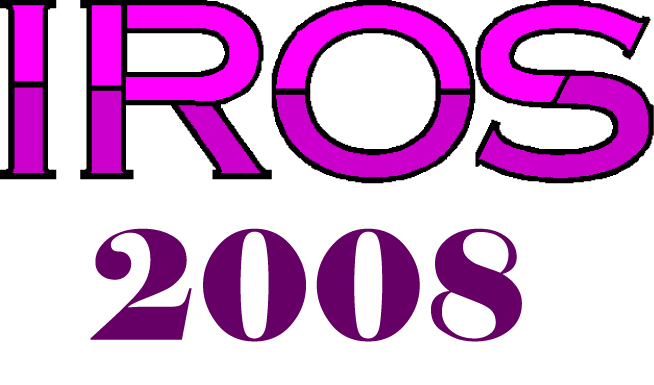 IROS 2008 offers sponsorship opportunities and exhibit space for interested corporations. If you are interested in being a sponsor please contact the exhibits chair. These prices include also access to the conference and the DVD of the conference for one person. Localization of the booth is available here. A booth comes with a free registration to the conference (but not to the banquet). Exhibitors should contact asap Daniele Herzog to indicate who has to be registered to the conference. Wany Robotics, leading provider of embedded technologies for research and education will be exhibiting at IROS 2008 to demonstrate PekeeII, its latest generation of mobile robot for research labs and universities. Our team will be pleased to welcome you on our booth for presentation sessions of the features and capabilities of PekeeII. In addition, Wany Robotics plans to create a partnership with a laboratory carrying innovative research in mobile robotics by providing its team with a fully featured free PekeeII. The winning project will have to illustrate the IROS thematic: "Robots for the planet". Everybody can apply for this partnership to allow their lab to win one PekeeII (from the graduating students to the lab directors). Hokuyo (Sentek Solutions) will be exhibiting exciting new additions to their range of ultra small laser range finders and obstacle detectors. The URG-04 LX the natural choice for high end robotic manufacturers has now got an extended family. The "big brothers" are actually about the same physical size, but where they differ is in terms of performance. The UBG-04-LX is 4 times faster, for applications where speed is important, whilst the UTM-30-LX can accurately see objects which are up to 30m away (inside or outside) Visit stand 19 and see the future!